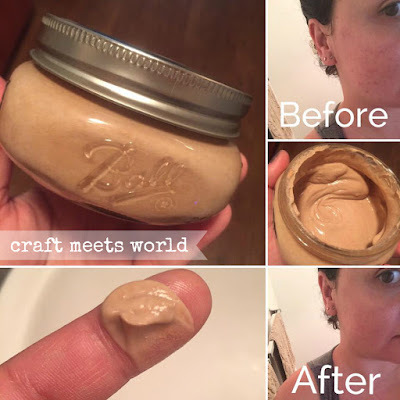 Tinted Moisturizer is simple and easy to make. Make your own tinted moisturizer for custom color, coverage, and skin care needs! It can be hard to find the perfect shade of tinted moisturizer, especially as the seasons change. I have a quick, simple tip to share on how to make your own tinted moisturizer in minutes. You can customize the color and coverage as you use the products that work best for your skin! It leaves your skin with a dewy, fresh look. You’ll just need two ingredients – moisturizer and foundation – or three if you include a sunscreen as well. You can either use a small glass bowl to mix your tinted moisturizer together or simply mix together on the back of your hand. You can also use a sponge blender or a foundation brush or just your fingers to apply. Use your favorite moisturizer for your skin type. I love that I can customize and use a moisturizer based on what my skin needs at the moment or just use my go-to daily sunscreen or a combination of the two. Use either liquid or loose powder foundation. 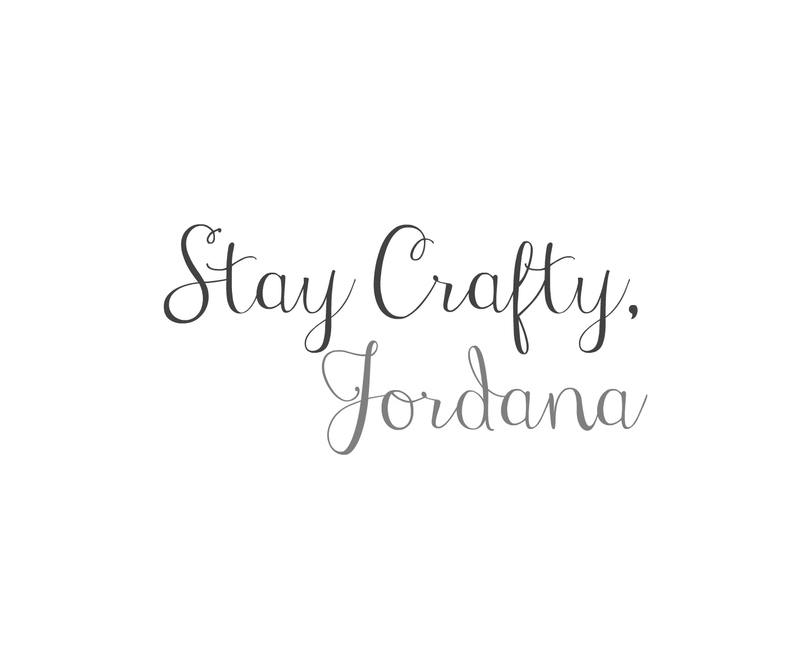 Begin by adding some moisturizer into a mixing bowl then start adding foundation little by little. Customize your coverage. You can adjust the amount of coverage in your tinted moisturizer by adding less foundation for a lighter coverage or more of your foundation for a fuller coverage. It's a good idea to also have a foundation in a shade or two darker that you can begin adding a drop or two to the mixture as well since skin becomes darker in the summer. 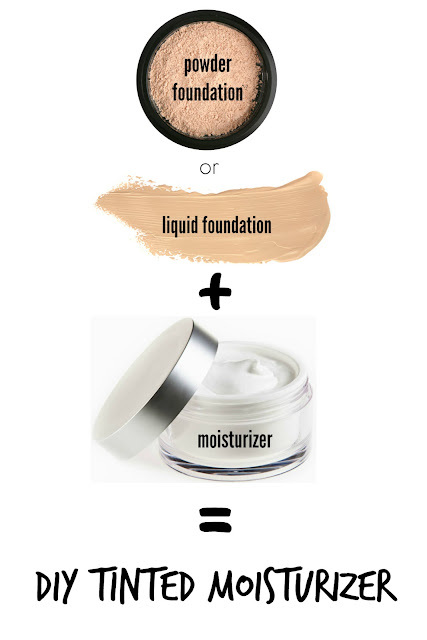 Mix together your moisturizer and foundation until well blended and you have a smooth, consistent color. Then, apply as normal. 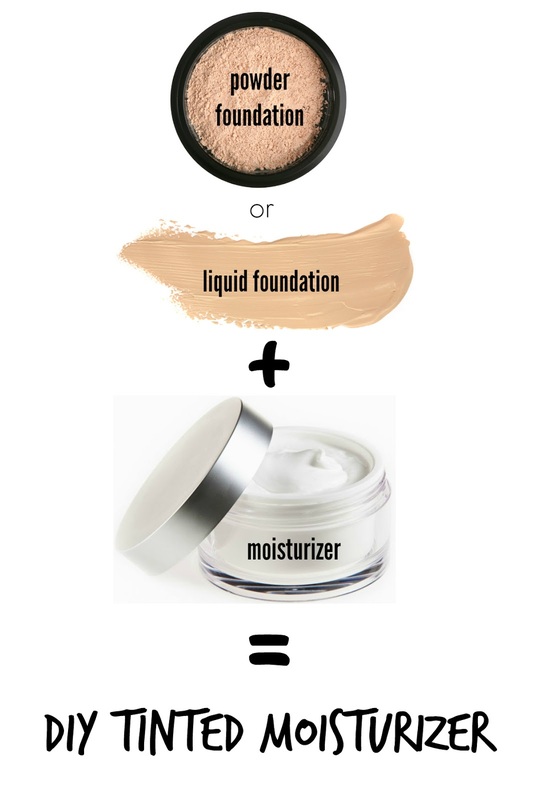 That’s how simple it is to make your own tinted moisturizer! 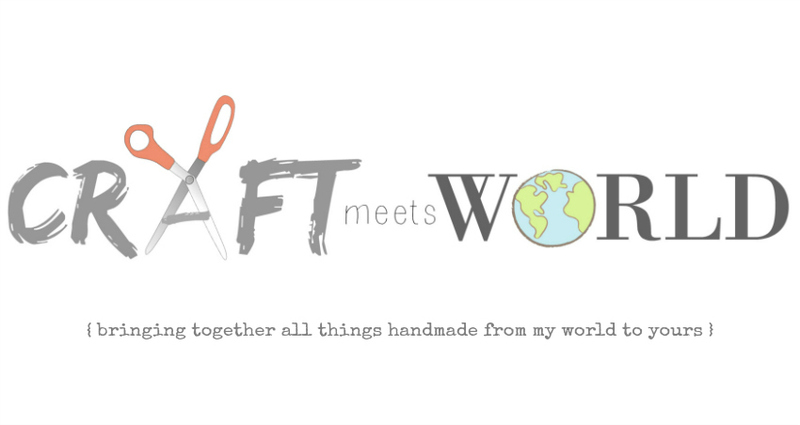 No more worrying about trying to find the perfect shade or getting an allergic reaction since you can quickly and easily make your own with products you already have and love.